Small business 401K plans can be powerful tools in recruiting and retaining potentially good employees. 401K plans provide financial security for retirement and are listed as one of the top benefits employees seek. 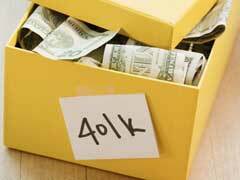 You need to consider providing 401K retirement plans for your employees even if you are a small company. There are benefits for company administration, taxes and employee satisfaction. – Employees can obtain their benefits when they retire or quit and this eases administrative responsibilities connected to a 401K fund. To establish a small business 401K plan, you must decide where to set up the fund be it in a bank, insurance company or with a mutual fund provider. In addition you need to have a written plan document, arrange a trust fund, develop a recording system and provide the plan to eligible employees. Determine if your small business 401K plan is a traditional plan, safe harbor plan, or an automatic enrollment plan. All plans can be set up for any size company and may also be set up as retirement plans for self-employed. Participation in a 401K plan should include rank and file employees as well as owners and managers. Employees should be at least 21, hold a year of employment, and not be covered by a collective bargaining agreement that prohibits participation. Employee contributions are generally made through salary deductions and the company contributes to each employee’s account. 401K contribution limits are regulated and subject to a per-employee annual limitation. This limit is described as the less of 100 percent of an employee’s contribution or $49,000 for the years 2010 and 2011. * Small business 401K plans must have contributions deposited by 7th business day following withholding. A specific fiduciary must be appointed to make sure contributions to the plan are transmitted and recorded. Additional responsibilities of the plan administrator include disclosure documents that provide information to participants. Small business is also required to file an annual return report with the Federal Government giving information concerning the plan, its operation. Funds disbursed must be disclosed to the IRS and US Department of Labor and all paperwork must be filed electronically. Most 401K plans are the principal source of retirement funds for an employee and are included in national retirement savings statistics. As a note, pre-retiree households of age 55 and up have an average retirement savings of $60,000 and 51% of employees who are 55 and older have less than $50,000 in retirement savings. With this in mind, it is highly advantageous to take advantage of company 401K savings plans and to begin investing what discretionary funds you have available into these plans. If you contribute the maximum amount permitted by law, you company will match a percentage of those contributions to help your retirement savings grow.